Nat Wolff has made a name for himself as a jack in different faculties of the entertainment industry. He is an American actor, musician, singer, and also a songwriter whose unique works have created an impact in the industry. Natt rose to popularity after he composed a track for the Nickelodeon TV series The Naked Brothers Band which aired from 2007 to 2009. He was born Nathaniel Marvin Wolff on December 17, 1994, in Los Angeles, California. Nat started at a very young age to exhibit high inclination towards music and its components. As early as the age of four he was already playing the piano and would perfectly teach himself how to play the chords. He started writing songs at the age of five and gradually started making his own music. He continued on a small scale until he got some recognition after he performed his own song ‘Firefighters’ on his birthday party held outside his apartment, after the dreadful 9/11 attack. Wolff raised a lot of money from the performance and gave it as a donation to the children of New York City Fire Department Squad 18. After several disagreements with his mother, he was later allowed to venture into acting which was also his childhood dream. All thanks to his mother, he debuted his acting career in 2003 with a role in Getting Into Heaven, an off-Broadway production (by his mother). His next role on TV was what gained him popularity; he featured in the 2005 film, The Naked Brothers Band: The Movie, written and directed by his mother. Wolff did not only star in it, he also contributed tracks and instrumentals for the movie. The film which was a huge commercial success was remade into a series of the same name produced and directed by his mother and aired on Nickelodeon, between 2007 to 2009. The series also featured Nat’s younger brother who also performed the music. 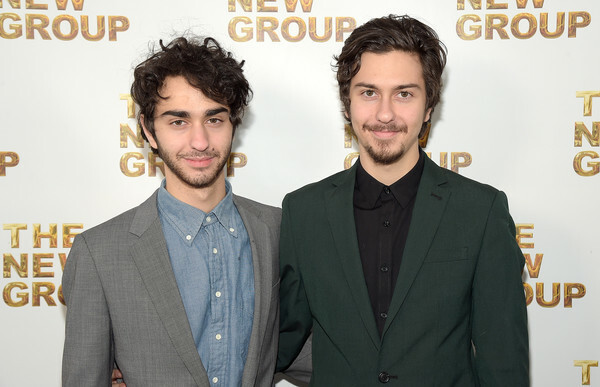 The Naked Brothers’ Band series shot Nat to fame and he began getting roles on TV and films too. Wolff’s next appearance was in Nickelodeon’s Mr. Troop Mom (2009). He also appeared in the film New Year’s Eve in 2011. In 2013, He starred in the comedy film, Admission as well as Palo Alto. Wolff in 2014 starred in the popular drama film, The Fault in Our Stars, a film adaptation of John Green’s novel of the same name. The movie earned him, lots of recognition and accolades including two Teens Choice Awards in the categories of Choice Movie: Scene Stealer and Choice Movie: Chemistry. He also starred in Paper Towns a film adaptation of John Green’s novel. Wolff has recorded a great achievement as one of the few child stars to make it big in the contemporary film industry. Nat was born into a family of entertainers. His father Michael Wolff, is a Jazz pianist and his mother Polly Draper, is an actress, producer, and director. His younger brother, Alex Wolff did not only feature on Naked Band Brothers but is an independent singer and songwriter. It must have been a matter of heredity for the versatile entertainer who strongly held on to his dreams despite earlier antagonisms from his parents. It will interest you to know that Wolff’s mother Prolly Dapper who directed some of his movies was once against his acting dreams. Wolff started at the young age of five to show interest in acting but was discouraged by his mother who didn’t want her kids to be famous at a young age. But as Nat grew, his mother supported him to the extent of featuring him in her own productions. Not many know that Nat’s actress, producer, and director mother, Polly Draper once earned a nomination at the Emmy Awards. She has also won lots of awards including Writers Guild of America Award (WGA). Wolff, a strong admirer of former US President Barack Obama, wrote a song ‘Yes We Can’ in his honor. After the release of Nat Wolff’s song ‘Crazy Car’ which he wrote at the age of six, the singer and actor was regarded as the youngest songwriter to make it to the Billboard charts.